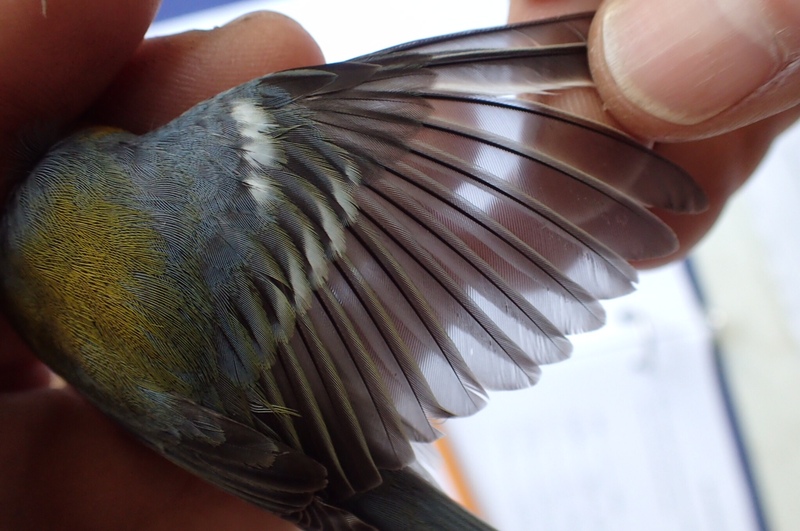 Day Three of Spring Banding Brings a Special Bird! 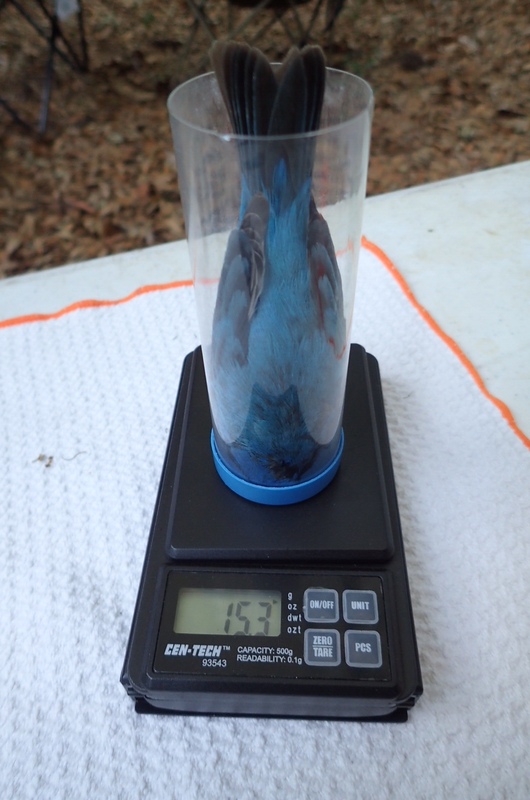 One of the best parts of banding is that on each net run you don’t know what you are going to find in the net (kind of like Christmas morning every 30 minutes). We had a nice variety with 9 species caught. 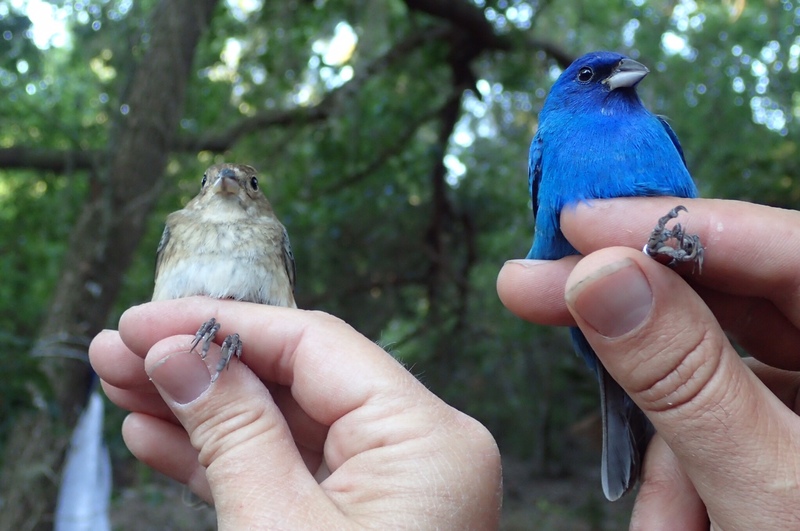 Highlights (until the end of the day) were a pair of Blue-gray Gnatcatchers, a female Hooded Warbler, a pair of Indigo Buntings in the same net and even a Palm Warbler. We had seen a lot of migrants in the park but by late morning things had really slowed down. 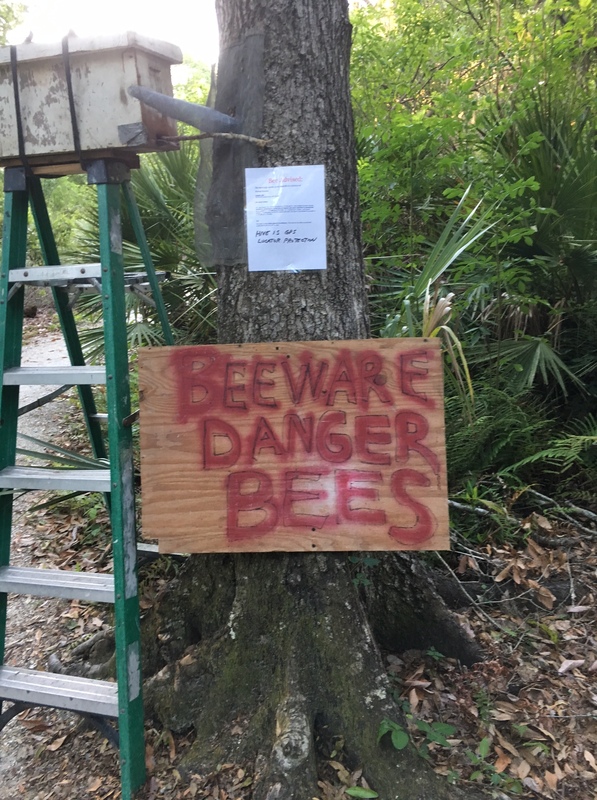 Right before we decided to close the nets a little early, one of our regular visitors arrived and said that he had seen some tanagers and a cuckoo in the park. I remember thinking, “man, I would love to catch either one of those birds”. 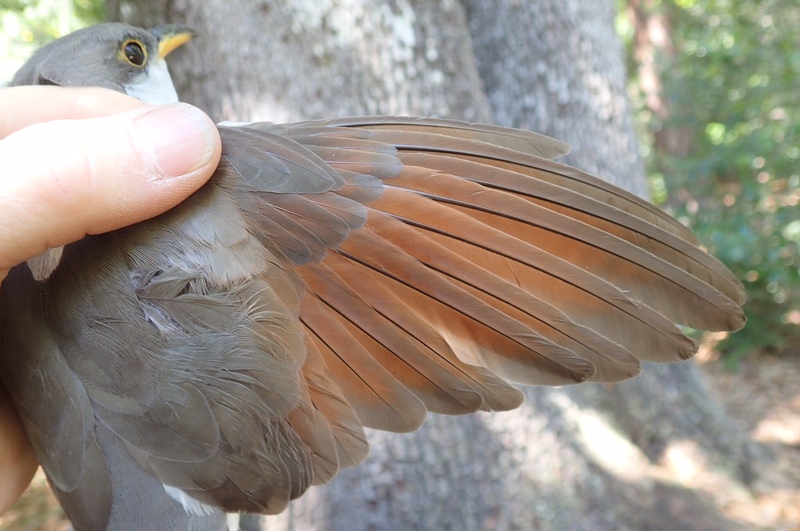 Sure enough, as we were starting to close the nets we found a beautiful Yellow-billed Cuckoo in Net #5! He was making all sorts of noise until we got him into a bag to calm him down. 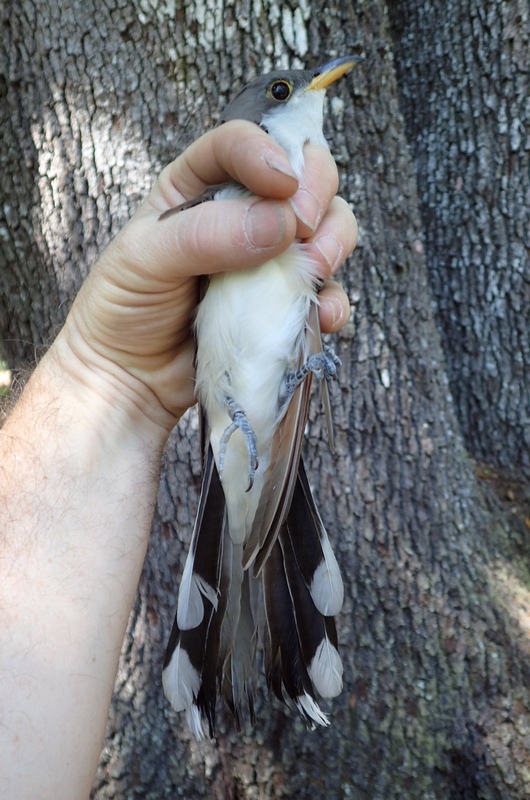 This was the first time that I had banded a YBCU although I had banded a Black-billed Cuckoo in Wisconsin. It was awesome to get to examine and photograph it. It was a great way to close our 3rd day of banding before our Easter break. I can’t wait to see what we catch this Sunday! Our second session was pretty good as well. We got the nets opened early and, again, heard the Chuck-wills-widow calling near Net #2 (but didn’t catch him). There was another one that was sitting right in the net lane for Net #6 but flew off when we came to put up the net. 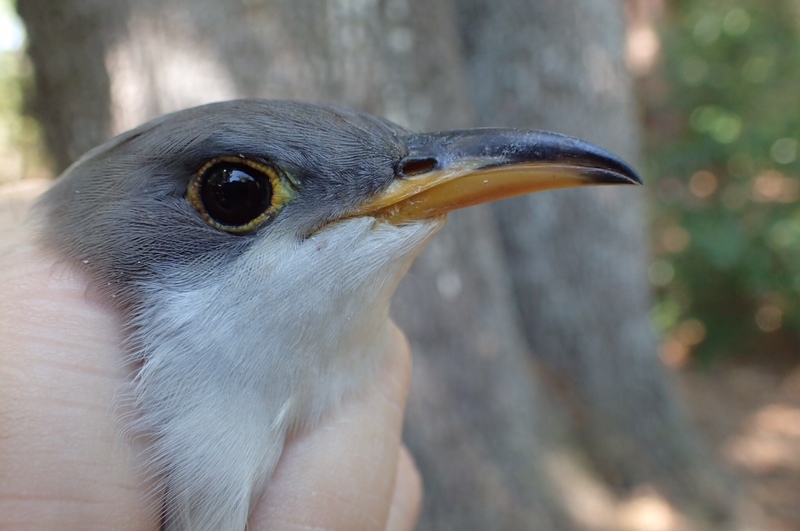 Gray Catbirds ruled the day but we did pick up a nice Swainson’s Warbler and a N. Parula. 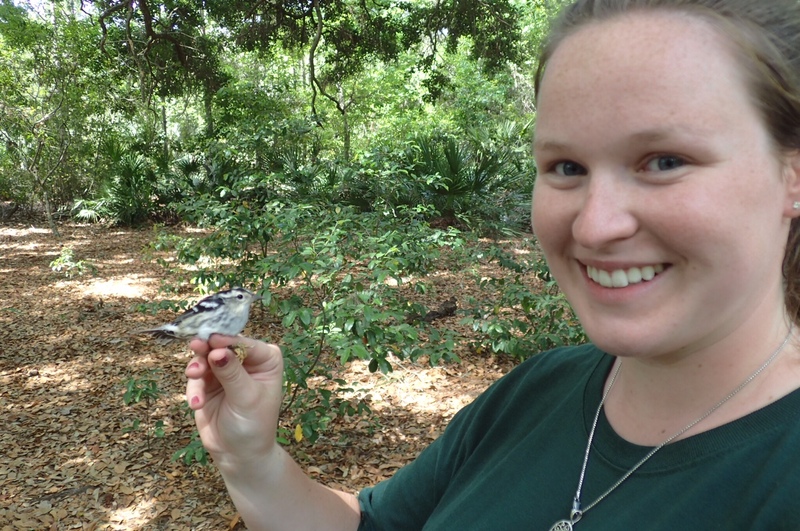 Eckerd College volunteer posing with a female black & white warbler.